Transit networks across Colorado will benefit from Volkswagen’s worldwide payout as the German carmaker settles with local governments for lying about emissions from its vehicles. Colorado transit agencies, including RTD, will get millions to buy cleaner, more efficient vehicles starting next year. 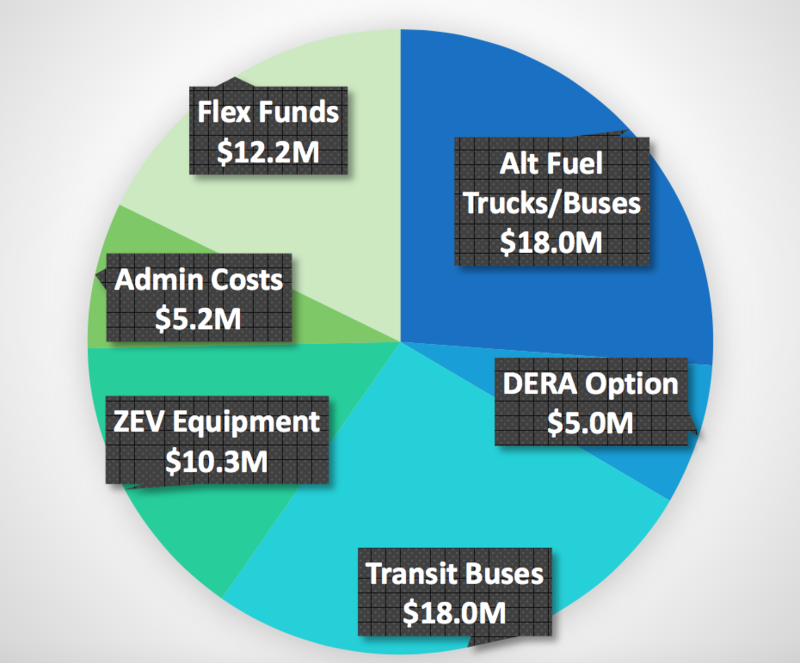 The Colorado Department of Public Health and Environment has released a spending plan for the state’s $68.7 million in settlement funds that aims to curb pollution by providing transit agencies and school districts with electric and “alternative fuel” buses [PDF]. Front Range transit agencies — including RTD — stand to receive the bulk of the funds because they operate in high-traffic areas most negatively affected by the scandal. Of the 3.4 million vehicles affected by the Volkswagen scandal, 11,140 were registered to Colorado residents. And 53 percent of those cars were registered in the Front Range. Nearly 70 percent of the state’s traffic mileage is on urban roads — not rural roads — making the Denver metro and Pikes Peak regions fitting recipients of the majority of Volkswagen funds, said Will Toor, director of transportation programs with the Southwestern Energy Efficiency Project. At least $18 million will directly fund clean buses for agencies like RTD, the Colorado Department of Transportation, and Transfort (Fort Collins). Another $18 million is reserved for school bus fleets, shuttle services, and truck fleets. The plan also sets aside $10.2 for zero-emission infrastructure like charging stations and $12.2 million in “flex funds” that will be allocated after the state measures the effects of its initial investments. With the settlement money, Colorado will be able to reduce nitrogen oxide emissions by up to 175 tons, volatile organic compound emissions by up to 36 tons, and greenhouse gas emissions by up to 57,600 tons annually, according to CDPHE. Colorado will secure the funds in 2018, and will look to award all the money through a competitive grant process within five years of receiving it. Coloradans can comment on CDPHE’s spending proposal through October 13. Proterra, a fast-growing maker of battery-powered buses, took a page from Musk’s playbook with an audacious announcement: Claiming a world record for driving one of its vehicles over 1,100 hundred miles on a single charge. The private company, which is led and staffed by ex-Tesla employees, says the long-range test of a 40-foot Proterra Catalyst transit bus at truckmaker Navistar’s proving grounds in New Carlisle, Indiana, is the farthest any electric vehicle has ever traveled on a single charge. I’m not sure what DPW’s status is with their new garbage trucks but if they haven’t bought them all yet, I’d love to see electric garbage trucks, assuming they even exist. They brake all the time – regenerative braking – pollute a ton from all that stop and go driving, and they’re so annoyingly loud. lol, I can’t tell who the manufacturer is? They also mention Byd who is making RTD’s Mall buses. Both Byd and Proterra now have manufacturing facilities in the Los Angeles area.